Those were the days, the good ol’ days: when ads used to be sooo creative, that we – kids then – remembered them years later. And went down nostalgia lane for them too! Paan pasand is still the mouth freshener of choice to de-stink corporate mouths post sutta-breaks. When paan pasand cannot be had, tissue paper is chewed as a substitute. Ewwww! Chewing tissue paper? Disgusting! One more reason to quit smoking! I know, they should all quit smoking, those dirty smokers. You know what they say- if you can't beat them, join them! I remember those ads! 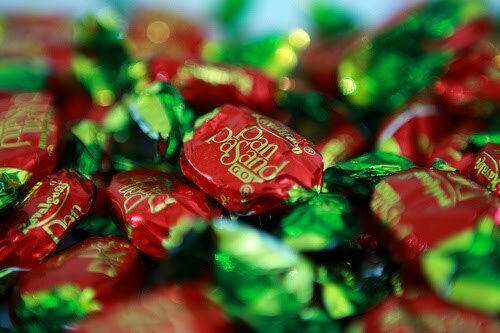 Hey, you still get Paan Pasand in some stores. My hubby got it from somewhere, and OMG - the sweet taste of nostalgia!!! Nostalgia!! I can feel that taste in my mouth right now! Oh..where can I get it..I need to eat one now!! Hahaha! Princess, they were good, weren't they? If Bertie Bott made beans of this flavor, I bet they'd be a best-seller!